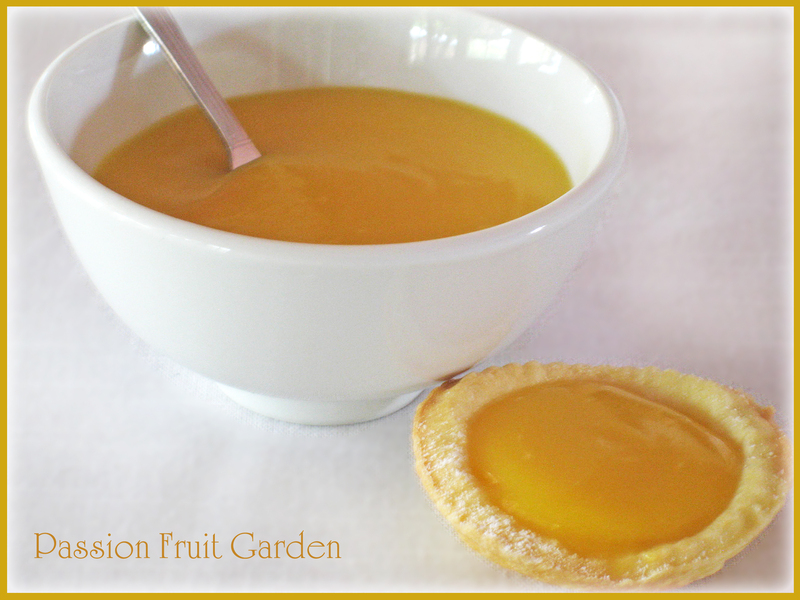 The other day, I decided I would like to make some passionfruit butter to serve in little tartlet shells. After my bumper summer crop, I have passionfruit pulp stored in the freezer for winter treats… and passionfruit butter tartlets really appealed. Off to “eat your books” I went and searched ‘passionfruit curd’ (butter). As it turns out, I have quite a few passionfruit butter recipes in my books, including Maggie Beer, Stephanie Alexander, Donna Hay, Nigella Lawson and Sally Wise. They all had various amounts of butter, eggs, passionfruit pulp and sugar. Which one to choose? I had no idea, really. The main difference was the amount of sugar required. I chose the Sally Wise recipe (from A Year in a Bottle) for no reason more profound than it made 2 cups and I thought that was a good amount to make. Sally’s recipe had a decent amount of sugar in it but my pulp was quite tart so the resultant passionfruit butter was not overly sweet. In fact, it was just perfect. If you are using commercial pulp which has been sweetened, you should consider reducing the sugar. Passionfruit butter is a beautiful thing. Just look at the gorgeous, rich yellow in the top photo. So good to look at and so good to eat. You could eat it straight from the jar or serve it on toast or sandwiched between two layers of cake or, as I did, in small tartlet cases. The instructions in every recipe say ‘stir until the mixture thickens’ which is easier than it sounds. The mixture does thicken and it is quite obvious. If in doubt, take it off the heat as it has probably thickened. A gravy whisk, aka a spiral whisk, is perfect for the stirring part. A gravy whisk has one main loop with wire coiled around it. It will ensure nothing sticks to the bottom of the saucepan. The instructions also always say ‘do not boil’. Take heed of this advice. If you don’t, your mixture could curdle. If you see your mixture begin to curdle, immediately take the saucepan off the heat and put it in a sink of cold water. Whisk like mad and hope it recombines. One small warning: don’t be tempted to make too much. Like lemon butter, it does not keep more than a few weeks and must be kept in the fridge. If you do make more than you can eat in a few weeks, freeze the leftovers for another occasion. It freezes well. Sally’s instructions were very simple – Combine the passionfruit pulp, sugar, eggs and butter in a small saucepan and whisk over a very low heat until the mixture thickens. Do not allow to boil. – and worked perfectly, although it was a bit tricky whisking the butter before it melted. Stephanie Alexander’s instructions in her recipe are a little more comprehensive. She advises to put the sugar and butter into a saucepan and stir until the sugar dissolves and the butter melts. Then lower the heat, add the eggs, which have been well beaten, and the pulp and stir until the mixture thickens. Choose whichever method you wish. Passionfruit butter will keep in the fridge for up to 3 weeks. If anyone is wondering: I used the same sweet shortcrust pastry recipe and same technique that I used to make my mini lemon meringue tartlets. This entry was posted in Homemade Produce, Jams and Jellies, Passionfruit and tagged Passionfruit curd, What to do with excess passionfruit? by Glenda. Bookmark the permalink. Hi Jeanette, Assuming you measured everything carefully, there is no reason for it not to thicken … unless you did not cook it enough. All is not lost, I would put it back on the heat and slowly heat it again. Stir all the while. It should thicken. Just don’t let it boil. Have a sink of icy water handy to put the pot in if it looks like it is going to separate. Another idea would be to mix in a bit of cornflour as you reheat. It is just a custard so if cooked long enough it should set. The only other idea I have is if you were a bit liberal with the passionfruit. 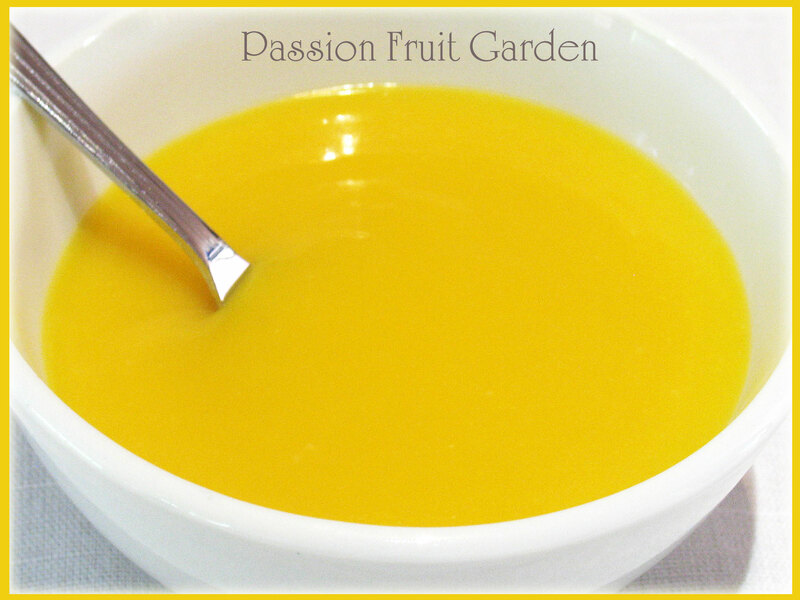 Passionfruit is very high in acid and if there is too much acid it can cause a custard to split. Let me know how you go. It never occurred to me to freeze leftover lemon curd – I just assumed it wouldn’t defrost very well. 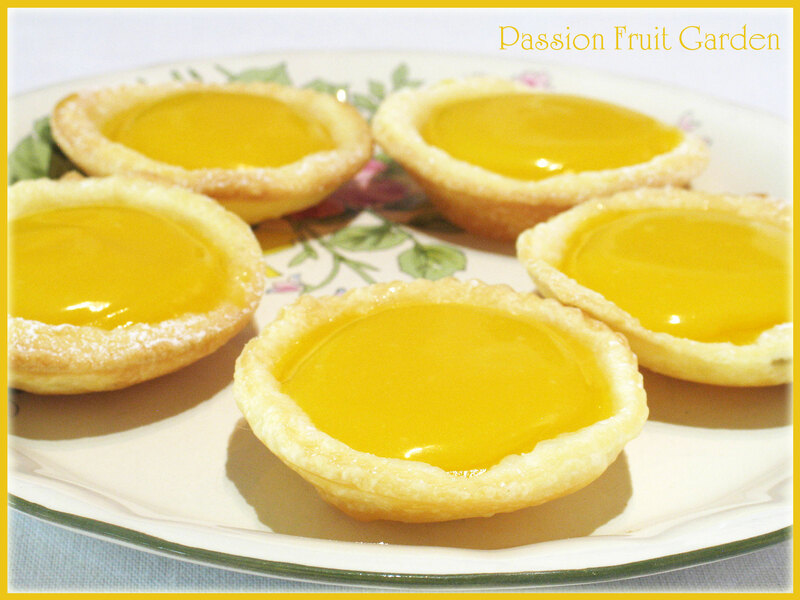 Passionfruit curd tartlets sound just heavenly – a taste of summer for you right now. Hiya Nancy It is amazing how passionfruit and summer go together. I guess its the thought of pavlova with passionfruit drizzled on top. Every time you write about passion fruit I start drooling. This looks and sounds fabulous. Hi Diane, it is summer time your way, there must be passionfruit in the shops. we really don’t see it that much here. I’m wondering if the fruit continues to ripen after being picked or if it has to be ripe before it’s shipped. Hi Diane, it doesn’t really ripen after it is picked. Hi Sandra, Australians seem to love passionfruit. It could be our national fruit. What a vibrant colour. If only I had passionfruit growing in the garden instead of having to buy them at vast expense. sigh. I love passionfruit butter and will eat it anywhere anyhow, especially straight from the jar! That it’s so much more delicious than it is hard to cook and so versatile, keeps it in my kitchen repertoire with lemon butter etc. Hi Ella – it is a gem isn’t it?